June 11, 2014 | 11:06 a.m.
Bethel Seminary will continue the Work with Purpose Initiative with a second grant from the Kern Family Foundation. 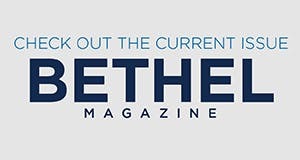 The initiative team also hopes to provide pastors and lay leaders with Bethel-written materials or other resources that will help them start conversations or provide programs in their own churches that highlight this topic. “We will host two Faith & Work Boot Camps during the new grant year to provide quality content around which pastors and lay leaders can more practically apply insights to their own congregations, along with survey tools to help leaders listen to their congregations and conceptualize how to meet that opportunity,” Rupe says. They’ll also help pastors and lay leaders learn how to prepare and submit a proposal to the Kern Family Foundation for initiatives they want to begin in their own churches. Highlights of the first year of the Work with Purpose Initiative at Bethel include developing a six-week course, geared toward churches, on faith and work in partnership with Christianity Today, along with piloting the material to six partner churches. The team held a MISSION:WORK conference that welcomed 120 people from the Bethel community and local congregations and offered a colloquy program that united Bethel Seminary and MBA students to discuss readings from thought leaders in the faith and work movement. 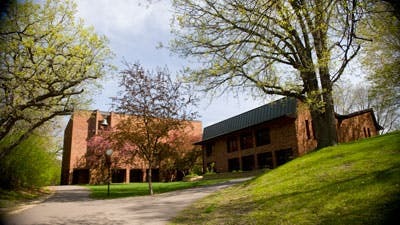 The initiative also awarded seven grants to Bethel faculty to develop relevant course content related to faith and work, hosted lunch events, and launched a Theology of Leadership and Vocation course in the seminary’s M.A. in Christian Thought program. These activities were made possible through the initial Work with Purpose grant of $190,000 provided by the Kern Family Foundation through the work of Professor of Church History Chris Armstrong. The Year 2 grant provides roughly $350,000 for the period of June 1, 2014, through May 31, 2015.